Register with Everyday Family for free baby samples, offers and coupons from name brand advertisers. 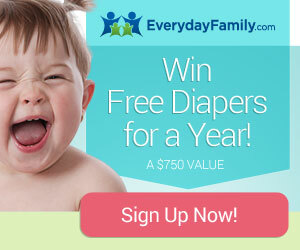 New members are entered to Win Free Diapers for a Year! This Sweepstakes ends on 06/08/17 and you can ENTER ONCE to win.